Over-the-range is a microwave style which features an in-build microwave hanging over the range. This style serves a number of different functions which include saving your counter space and ability to cook all types of foods and recipes within a very short time. Although some people say that installing an over the range microwave is hard, the truth is that installation of this model is very easy, especially when you have the latest models at the disposal. Secondly, look for a smart model with lavish colors like red microwave which complement your interior décor, and lastly look for a model that has “green” ratings and features which suit your cooking style. With that being said, this article will go ahead to review some of the best over the range microwaves available on the market to give you more information before making your buying decision. The GE JVM7195SFSS Over-the-Range Microwave is a new powerful microwave which has been introduced in the market to suit your cooking needs. Powered by a 1000 Watt motor, this kitchen appliance features a 1.9 Cu. Ft capacity, sensor cooking controls which sense the amount of moisture in your food and automatically set the cooking time, power saver mode which reduces the amount of power used when the microwave is not in use, electronic touch controls and a 3-speed exhaust fan. Other smart features with this brilliant over-the-range microwave include halogen interior light and a 3 speed 300 CFM venting system which removes excess smoke and odors from your kitchen leaving it clean and fresh. This microwave has a weight of 63 pounds and dimensions of 32.8×18.5×19.5 inches. The one touch control buttons are very easy to master making it helpful to old users. It has a light weight which makes it easy to install over the range. The stainless steel outer casing means that this microwave can endure rust and stay for a very long time. 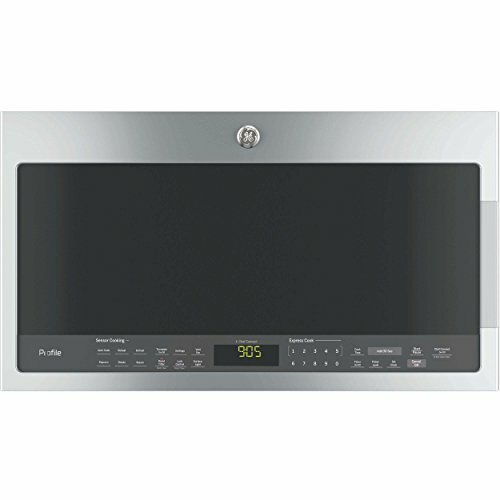 The gray and white colors of this microwave are lavish and complement any kitchen décor. The 1000 watt motor is very silent and offers sufficient power to tackle all your cooking needs. Most customers have complained about the instruction manual stating that it’s biased and doesn’t offer correct information. The paper used to write the instructions is cheap and the writings are very thin, making it hard to read through. The price of this microwave is very expensive. Although there are some minor cons which customers have experienced, the best part is that this over the range microwave serves its intended purpose. With smart features such as electronic touch controls, a robust and high performing fan, halogen lights and a large glass recessed turntable, this microwave is the best choice for people looking for quality. The LG LMV 1683ST Over-The-Range Microwave Oven is a powerful kitchen unit which comes with brilliant features and specs. 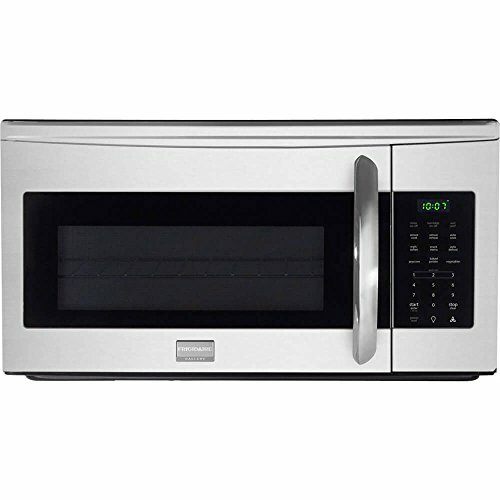 With a stainless steel outer casing, this microwave has a powerful 1000 Watts motor, a one-touch settings which allow you to cook a variety of foods, 1.6 Cu. Ft with 300 CFM venting system, carbon coated charcoal filters, 3-digital LED displays and incandescent cooktop lighting. 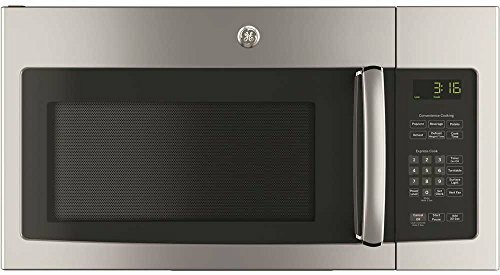 The LG LMV 1683ST Over-The-Range Microwave Oven has a one year limited warranty and comes with a weight of 53 pounds and dimensions of 15.7×29.9×16.4. The 1000 watts heating power enables you to prepare different types of recipes and also helps you reduce the power to many levels. The instruction manual is very clear and easy to understand. 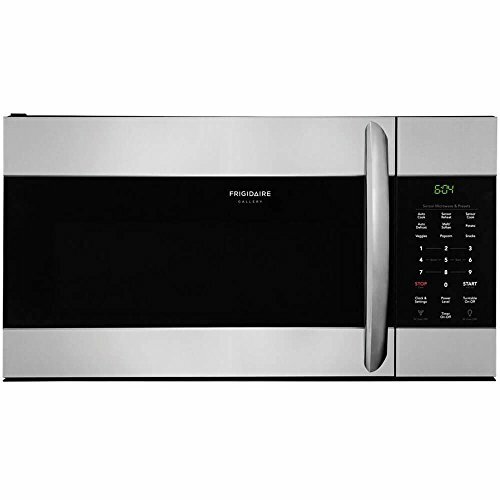 This microwave oven works well over the range and is very convenient and silent. This microwave is quite noisy, especially when operating on the higher setting. ​The over-the-stove lighting is very dim and requires your kitchen lights to be on. Most customers have complained about the fan assembly stating that after a few months of use, the interior burns into flames. After reviewing the LG LMV 1683ST Over-The-Range Microwave Oven, it’s evident that this unit is capable of heating, reheating and cooking a wide range of recipes with ease. The one touch settings, the LED display, the carbon filters, 300 CFM vent airflow and the child lock feature are all the brilliant specs which have elevated this over-the-range microwave at the top of the ladder. The Sharp R-1406 950 Watts Over-the-Range Microwave is a smart kitchen unit which not only saves on your kitchen space, but has brilliant and convenient features which serve all your cooking needs. This microwave is light weight and has a flexible mounting option which makes it very easy to set up. Among the outstanding features which buyers are expected to enjoy include; a 950 Watts motor, pre-programmed 12 automatic settings, 10 variable power levels, auto touch panel, an easy to read lightened display and a child lock feature. With an industry leading 14 inch turntable, this microwave has a weight of 56 pounds and dimensions of 33.1×19.3×15.6 inches. This microwave is solidly built and comes with powerful over-the-stove lights. The price is very friendly and highly affordable to most customers. The 1000 Watt motor is very powerful and performs even cooking of all types of recipes. The turntable is very large and capable of accommodating a whole chicken. It comes with a one year limited warranty giving you confidence in your purchase. The exhaust fan is very loud and only works with one setting. The unit is very heavy and needs a third person to set it up. This unit doesn’t come with a filter for the exhaust fan. Some customers have complained about the keypad sounds stating that they can’t be muted. All in all, the Sharp R-1406 950 Watts Over-the-Range Microwave is a perfect kitchen appliance for people with small kitchens since it doesn’t take a lot of your space. It comes with smart features and sleek dimensions which are enough to take your cooking experience to a new level. After some of the best Over the Range microwave reviews, the GE JVM7195SFSS Over-the-Range Microwave was the leading in the category. Although some customers have complained about the price, the fact is that this kitchen unit is jam-packed with outstanding features and technologies which tackle your cooking needs with ease. Second in the list, we have the LG LMV 1683ST Over-The-Range Microwave Oven which is powered by a 1000 Watts cooking power and a roomy 1.6 Cu. Ft interior. It has smart features which include; a 300 CFM venting system, carbon coated charcoal filters, 3-digital LED displays and incandescent cooktop lighting. The Sharp R-1406 950 Watts Over-the-Range Microwave is the last unit in the category which is also jam-packed with credible features. It has a 950 Watts motor, pre-programmed 12 automatic settings, 10 variable power levels, auto touch panel, an easy to read lightened display and a child lock feature. Most customers have opted to purchase this unit due to its cheap price and friendly features. Either you already purchased an over the microwave or after reading our over the range microwave reviews you are likely to buy one for your kitchen. Here is an awesome video guide on how to install an over the range style microwave at your kitchen. Enjoy!